Implementation has never been simpler. Add your favorite Calcium hydroxide Ca(OH)₂ powder and plug into any aquarium controller or timer and you’re all set. With 3 different models, there’s a reactor to suite your needs. Want to go longer between serving? Go with a larger reactor. Have a smaller system or don’t mind more frequent refills, go with a smaller unit. There’s really no wrong answer. Kalkwasser (kalk) is the easiest and least expensive Calcium and Alkalinity solution in the hobby, leaving more money in your pocket for hot corals. Not only does Kalk help maintain a higher overall pH level to optimize calcification in corals, it also precipitates phosphates, helping you in the fight against algae. 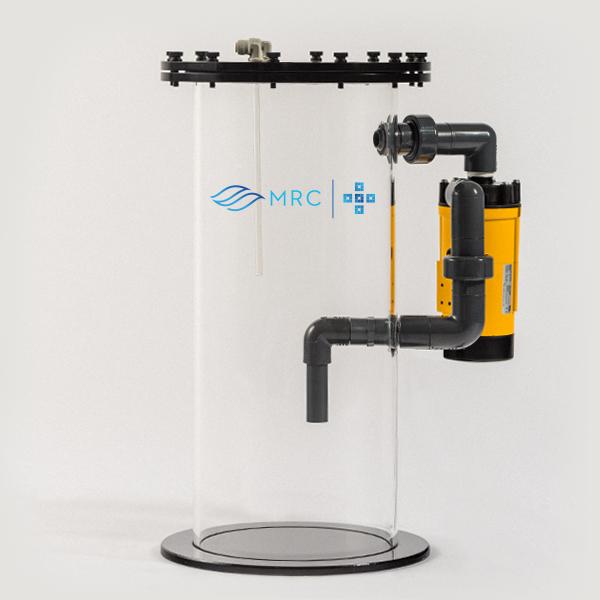 An MRC® Nilsen Reactor paired with an MRC® Calcium reactor is the ultimate combination for a healthy reef. Our design violently mixes the Kalk providing rock solid Ca levels, perfect pH, and amazing ALK stability. 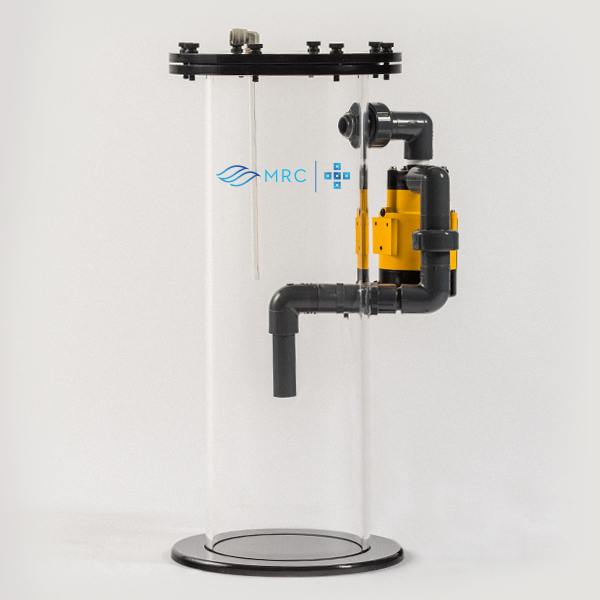 Simply put, MRC® has brought the Nilsen (limewater) reactor to the 21st Century. Using a powerful, external pump, the mixing is accomplished in a much more reliable way. These pumps are far more reliable and durable than internal pumps or stirring mechanisms often found in the market. MRC® Nilsen reactors are designed to perform straight out of the box. Using your current aquarium controller, you can quickly and easily program the frequency and duration of mixing . The external Blueline pump is easily accessible for simple maintenance. 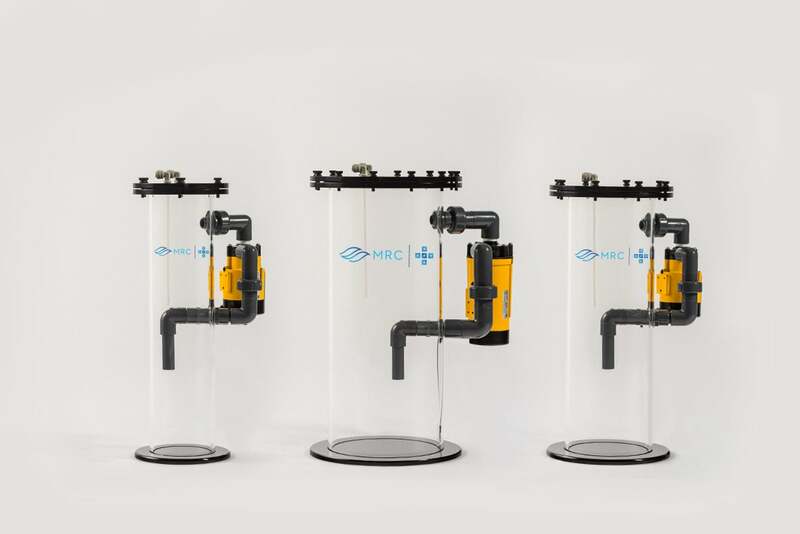 MRC Nilsen reactors are the most modern, simple, reliable, and beautiful Kalkwasser reactors on the market. 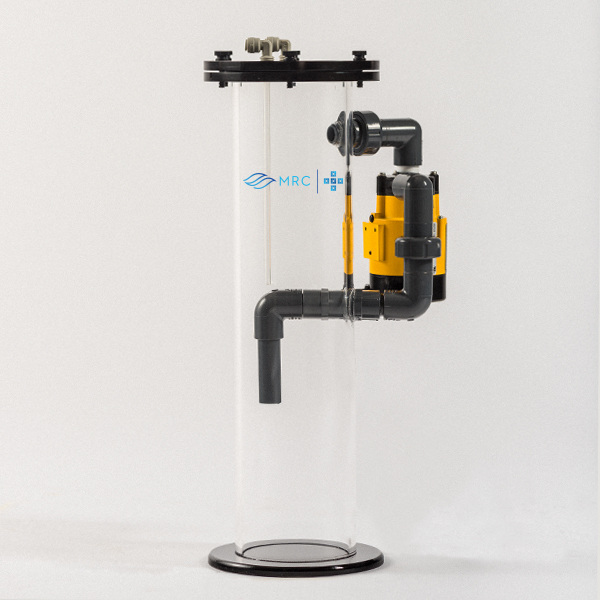 Purchase your +Series Nilsen Reactor from an authorized MRC® retailer today.